Cookies are information which a website requests or maintains regarding specific users which visit the page. These cookies contain information about how and when they visit, as well as authentication information for the site such as usernames and passwords. As these cookies must be in use whenever a visitor is active on a given website, an attacker who can intercept them can steal this information and use it to impersonate or catalog information about specific users. While we don't advocate stealing anyone's passwords, this guide is a must-know topic for any pentester or IT security professional to understand. If you don't know how black hat hackers do things, you'll never be able to catch them. We can move into this directory with cd command, as in this example. Once we're in this folder, we can create our index file with touch by typing the following into a terminal window. Next, we'll edit this index file too. First, open the file in nano. We can save this file by pressing Ctrl+O in nano. At this point, if opened in a web browser, our page will be blank. We can add a title element or some basic HTML content, or even add our scripting elements to any web page we've created, but for testing purposes, this will be sufficient. We can create a basic parameter inserted within a cookie by using only a single string. This cookie will only exist within this page, and similarly, the technique used to dump cookies later will apply to any cookie being stored within the page on which the script is run or injected. This script should be inserted within the "body" section of the HTML file, as seen below. If the webpage with this script is opened, a cookie will be set, but nothing will be visible in the browser. We can dump the cookie directly into the page itself using the "document.write" function. This won't be of any use for exporting the cookies without a potential user's knowledge, but it can help us understand the format in which the cookie writing technique works. We can add the following line to our script to test this. Our script should now look similar to the example below. When opened in a browser, it should look similar to the image below. We've now successfully set "username=Null Byte" as a cookie for this page. We can now remove the "document.write(document.cookie);" function of the script, as we are instead going to forward the cookies retrieved from the targeted user's page to an independent, offsite page on which they can be written and stored by us. In this example, the PHP file is located on the local machine, or localhost, at 127.0.0.1. In an actual deployment of this technique, it should point towards a file hosted on a web server which can be resolved to outside of the local network or local machine. If one was targeting a social media website, the script would be injected within that site, and the cookies which are stolen would be sent to an IP or URL of a server controlled by the hacker. For testing purposes, we will be able to host the file locally using PHP's test server module. The HTML page code should now look similar to the image below. This is sufficient for a test deployment, but in a real-world scenario the PHP file would be better served with a less obvious name and located at an external IP or URL. First, create a new PHP file in the same directory as the index.html file. You can do so by typing the following command. After adding PHP opening and closing brackets, the first element we'll want to define is redirect location, as seen in this example. 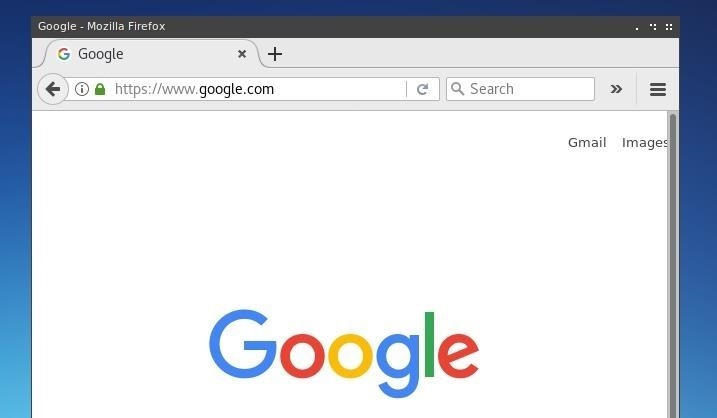 We define this as the "Location" following the "header," in this case "https://google.com." It can be set to whatever you choose, so long as it's an address which can be handled by a web browser. To limit the risk of a user becoming aware of an attack, it would be best to redirect them to a relevant page on the same domain, such that they are not alarmed, or become stuck in an infinite loop of the script running over and over. With the user redirection established, we can add additional code to process the cookie. First, we'll assign the cookie as carried by the URL to a variable. Next, we'll define the file to which the cookies will be saved to on the server which we control. In the example below, the file is named "log.txt." Lastly, we'll combine the variables defined in the above two strings in order to write the variable's content, the cookie, to our log file. Our code should now appear similar to the image below. With this file saved, we're ready to prepare a test environment for the PHP code. The version of PHP available on most Linux distributions and Unix-like operating systems includes a test server. This server module is small, limited, and not suitable for live deployments, but is very lightweight and effective for testing PHP code. From within the same directory as our index.html and cookiestealer.php files, we can launch a PHP test server from the command line by typing the following. This test server now allows us to test our page by simply opening "127.0.0.1" within a web browser on the same machine. After opening this page, our browser will most likely almost immediately resolve to the website we defined as a redirect, in this case Google. If we take a look at our PHP server log, we'll notice that an argument was passed to our PHP file and our PHP code was executed. Finally, we'll be able to retrieve the cookies by checking the "log.txt" file which now exists in our site directory. We can view this by using cat in the command line. This attack is extremely valuable for doing damage and gaining user credentials in any scenario where you're able to inject code on a site where users may be using cookies. Cookies often contain important user information in plaintext, and many times contain private keys which can be used to impersonate or log on as the user. This attack could be injected anywhere which an HTML script tag could be inserted. 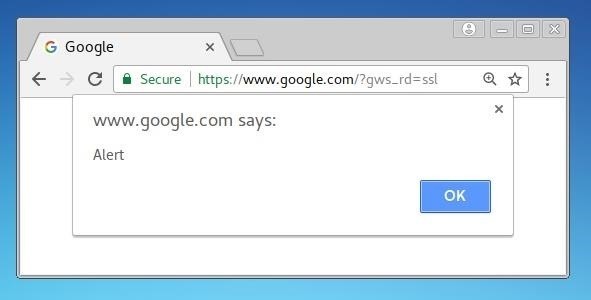 A popular test method to test web forms for XSS vulnerability is using a simple "alert" string such as the one below. This script will simply attempt to open an alert box such as the example below. If it opens, the website is vulnerable to XSS. In a live attack, a hacker would be careful with the way in which the PHP script is hosted. If done improperly, the origin of the PHP file could be easily traced back to the hacker. If a tactic such as this is detected, in order to identify an attacker, it would be useful to attempt to seek information on where stolen cookies are being sent and stored. I hope you enjoyed this article on stealing cookies! If you have any questions or comments about the article, leave them below or reach me on Twitter @tahkion.